The CC is a stylish four-door serving as Volkswagen's top car model in the United States. The CC is related to the 2006-2010 Passat so it is roughly equivalent to a midsize sedan. 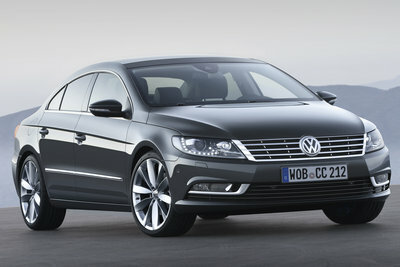 By comparison, the sleek roofline of the CC is 2-3 inches lower than that of Passat. Beginning with the 2013 model, the interior has seating for five passengers. CC is offered in four trim levels, three of which are front-wheel-drive with a 2.0l turbocharged four-cylinder engine. The top model includes Volkswagen's 4MOTION all-wheel-drive system and their narrow-angle V6 engine. With prices starting at around $30,000, the CC is an interesting alternative to the usual conservative mid-sized sedan. Several variants are no longer offered.